Being a part of WMMA really feels like you are on a team. It’s not just some solo work out that you do by yourself like you would at a gym. You are constantly being pushed by your teammates to be better and work harder in classes. The higher belts don’t look down on the lower belts like you might expect seeing how they are so much more experienced. They are always more than willing to lend a hand or give a tip on how to tweak a certain technique if you ask. When I joined I didn't know what to expect from it I didn't think I was going to like but I did, is one of the best decision I have ever made. Every time I go in I have a lot of fun classes are amazing, teammates and coaches are awesome the environment is great. Some of the positives things a can say that the school has brought me are a lot of new friends a lot more confidence in me it motivates me to keep going forward. I mainly started for fitness and never thought I would fall in love with a sport especially one I started at 29. I am in the best shape I've ever been in at 31 and BJJ is so much fun you forget it is a "workout". It constantly pushes and challenges me both physically and mentally and is a great release of stress after a day of work. You are constantly learning, growing and pushing yourself to be your personal best. It has helped me focus better in my personal and professional life. It has been nothing but a positive experience environment and instructors, so I wanted to share that with my family. After many years of convincing I was finally able to get my wife to start training as well. Now a year later and much to her surprise, she has also calls the members of the academy a second family as well. We look forward to starting our two boys on the path to we have taken together as well. Jiu jitsu is not only a set of techniques for self-defense or exercise, but it is also a vehicle for physical, mental and emotional growth as a person. I originally began training at a different academy, and as ‘outsider’ of WMMA, I was quite apprehensive about embarking into a new academy; but the immediate openness, support and positive environment made the transition very easy. 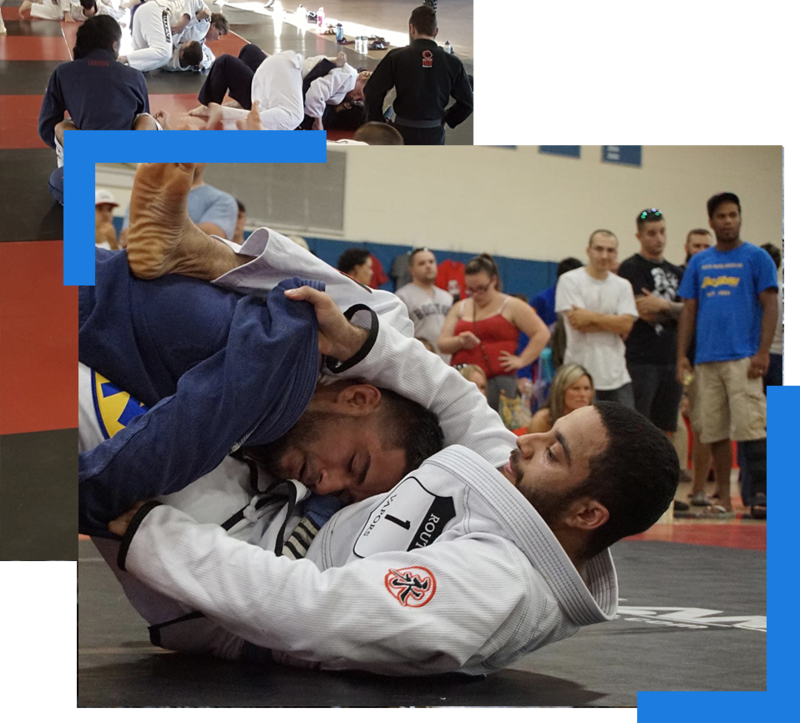 The combination of distinguished and knowledgeable instructors, widely-accessible classes and open mats, encouraging teammates and a diverse population; it is no wonder that my Jiu Jitsu rapidly increased. Not only did my confidence rise on and off the mats, I’ve created life-long friendships with many teammates.